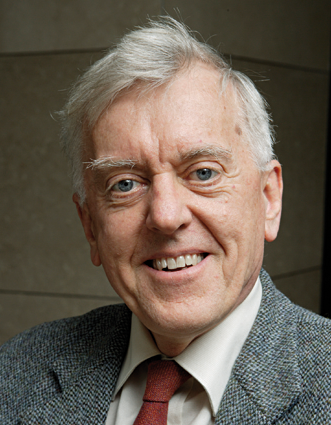 Dr. Peter Scott started his career in the nuclear industry in the Materials Development Division at the Harwell Laboratory of the UKAEA in 1971and during 19 years at Harwell became a section head and a recognised expert in corrosion fatigue and stress corrosion cracking of materials in thermal and fast reactor systems. He joined the Framatome Group (now AREVA NP) in 1989 where he was an Expert Consultant for 18 years in corrosion and stress corrosion of materials, mainly in PWRs, until his retirement at the end of January 2008. He was also a member of the editorial board of the NACE Corrosion Journal for over 8 years and received the 2000 F. N. Speller Award from the NACE for outstanding contributions to the practice of corrosion engineering. I didn’t really start seriously in corrosion engineering until I transferred from Harwell, where I worked principally as a research scientist, to Framatome (now AREVA), as described below. From that moment I became very much aware of the frequent need for exercising engineering judgement based on a wide background knowledge and experience. I received my B.Sc. in chemistry from the University of Sheffield in England in 1965 and then a Ph.D. in physical chemistry from the same university in 1968. I then spent two years as a Post Doctoral Fellow in the Department of Applied Chemistry of the National Research Council of Canada before starting my career in the nuclear industry in the Materials Development Division at the Harwell Laboratory of the UKAEA. During 18 years at Harwell, I became a section head and an expert in corrosion of metallic materials, particularly concentrating on the phenomena of corrosion fatigue and stress corrosion cracking in both thermal and fast reactor systems. In addition, I worked on corrosion fatigue of structural steels in seawater as part of the support work carried out for large oil production platforms for the then burgeoning North Sea oil business. I entered the Framatome Group (now AREVA NP) in 1989 and was named ‘Expert Principal’ (or Senior Corrosion Consultant) in 1993 and International Expert in 2003. In this capacity, I represented the company on several international working groups dealing with problems of stress corrosion cracking of materials, mainly in light water reactors and particularly Pressurized Water Reactors. During my period with Framatome and AREVA NP I also served as a member of the editorial board of the NACE Corrosion Journal. In 2000, I received the F. N. Speller Award from the NACE for outstanding contributions to the practice of corrosion engineering. I am the author or co-author of over 100 scientific publications. I was introduced to ANT International and the LCC Program by my long standing friend and colleague Peter Ford. How has the field of Water Chemistry changed during your career and what do you foresee for the future in the nuclear industry? How does the LCC Programme fit in? My departure from Harwell and arrival in Framatome and AREVA NP coincided with loss of interest in nuclear power for electricity generation in the UK and the final stages of the PWR building program in France. From that point, my work was essentially dealing with the problems of materials aging management in the existing reactor fleet. It was not until a few years after the start of the present century that nuclear power station construction revived and, certainly for those of us working for vendors, a step change into work dominated by new materials specification and procurement with the aim of avoiding the generic materials aging issues that had occurred previously. It seems clear to me that young scientists and engineers entering the nuclear industry have a bright future in front of them since nuclear power is obviously going to make a major contribution to electricity generation in a world with declining fossil fuel resources. In that respect, the LCC program will play an important role in educating the new generation of scientists and engineers entering the nuclear industry. As far as my field of expertise is concerned, it will be important for them to recognize that all metallic materials we use practically have a fundamental thermodynamic driving force to revert to the oxidized state and that a long term, strongly scientific approach is required to slow the kinetics of those oxidation processes to a minimum and to maximize the operating life of these extremely capital intensive nuclear power machines. Thinking in terms of 40, 60 or even 80 years of operation necessitates a sound knowledge and application of the fundamental science underlying corrosion and stress corrosion cracking if these goals of plant longevity are to be realized. A few years ago, I would have quickly said walking in the countryside, bird watching, listening to classical music and, dare I say it, watching the television. However, the arrival of grandchildren, now numbering five in two families based respectively in France and Germany has somewhat shifted the emphasis to a large measure of child minding, and a great joy in my life it is.